With the school year half over, you as a parent may have your own struggles with the school days; homework, extracurricular activities, conferences, etc. However, have you ever thought about how your child’s skin health can play a role in their ability to thrive at school? Rashes can unfortunately be show-stoppers in school (not in a good way), and affect your child’s self confidence. A rash can be caused from numerous different things such as a skin irritant, an allergy, bacteria, or even a virus. Let’s take a look at three common skin rashes. Eczema is a chronic skin condition that produces dry, itching and inflamed skin. Symptoms can vary in severity, ranging from mild inflamed skin, to blistering cracked skin. Eczema is extremely common. Eczema usually occurs on the face, neck, and insides of the elbows, knees, an ankles, however can appear anywhere on the body. It can be extremely bothersome to patients. 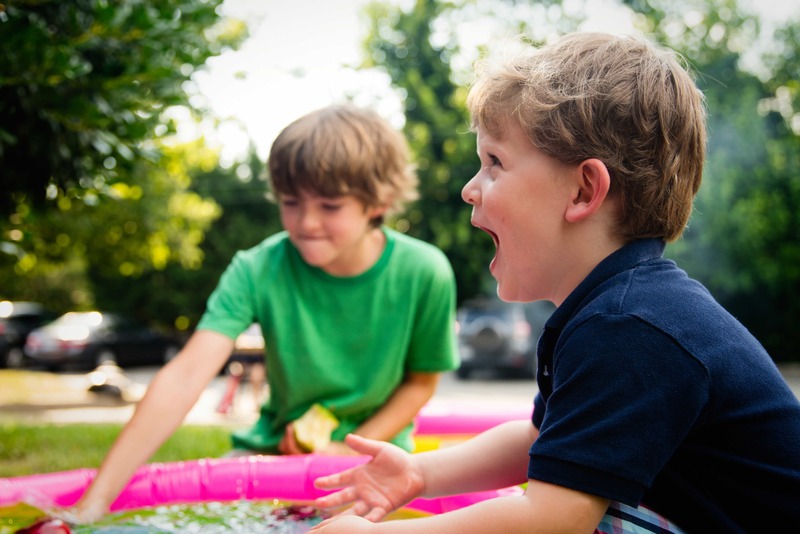 Though eczema tends to flare up in cooler, dryer months when there is less moisture in the air, dryness from frequent exposure to air conditioning, overheating and sweating in the summer, and chlorine from swimming pools can also trigger eczema. Tree and plant allergies are also known to cause this skin rash. Molluscum contagiosum is a contagious viral infection that causes pearly bumps on the skin. The virus enters the skin through small breaks in the skin barrier causing bumps, and may have a dimple in the center. Molluscum are highly contagious and can be transmitted though skin to skin contact, swimming pools, shared clothing or towels. Molluscum can resolve on their own, but there are treatment options that can be done in the office to speed up the process and hopefully prevent the spreading of bumps. While these are some of the most common rashes we see in children, there are other rashes that may be troubling your child. If your child has a rash, one of our skilled providers can help to diagnosis and develop a treatment regimen personalized to your child’s needs. 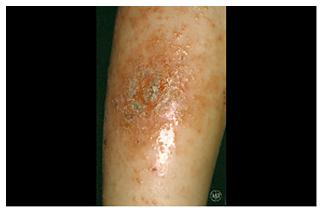 Impetigo is a superficial skin infection caused most commonly by staphylococcus bacteria. This rash is often found near the nose and mouth but can occur anywhere on the body. 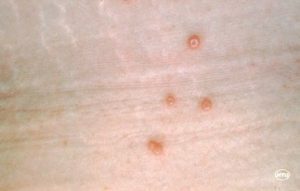 It often presents as yellow crusted lesions, however can appear as superficial blisters that rupture and leave open patches of skin. 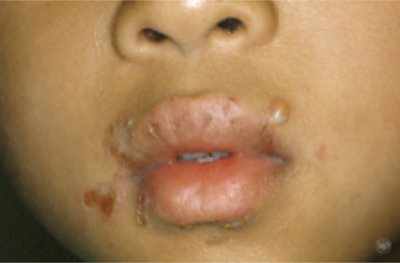 Impetigo can be slightly itchy but is highly contagious. Though rarely a serious disease, it is important to seek treatment. Topical or oral antibiotics may be needed to clear the infection.